WASHINGTON, D.C. – Huisken Meat Company, a Sauk Rapids, Minn. establishment, is recalling approximately 89,568 pounds of beef products that may be contaminated with extraneous wood materials, the U.S. Department of Agriculture’s Food Safety and Inspection Service (FSIS) announced on Monday, Jan. 4. 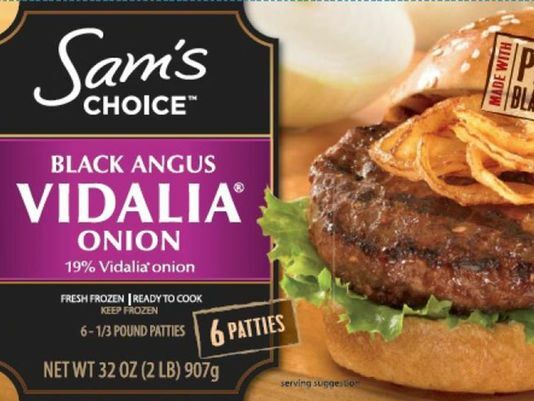 Two-pound boxes containing six pieces of “Sam’s Choice Black Angus Beef Patties with 19 percent Vidalia ® Onion.” with Use By dates 05/17/2016; 05/29/2016; and 06/06/2016. The foreign material originated with an incoming ingredient and was discovered during production. Consumers with questions about the recall can contact Debbie Green, Customer Service Manager, at (618) 857-4011. Media with questions about the recall can contact Mike Riley, VP of Sales, at (618) 857-4062.